i had 5 pages left in book no. 31 which i finished. oh the feeling of completing things is GOOD. i decided a few months ago i wasn’t going to make any more sketchbooks until i take more out of circulation by finishing them. by the way, my numbering system is completely senseless because they aren’t chronological. i need to learn to number them when i start them, not when i make them. i did manage to do one little painting in the park. wish i had done more. the sky was so brilliant blue, the rock piles golden, purple and white mountains on the horizon. i brought a catalogue with me, but only ended up painting these chairs. big plans thwarted by other things. whaddayagonnado? i think a week long art retreat is in order. sister and i are plotting our summer getaway. looking for a cool place to land right here in the continental u.s.a. as we only have a week or so. is vermont cool in summer? northern washington? montana? foreign lands all. see you soon cute peeps. do keep apprising me of your outlandish plans and great escapes. I too say yes to Vancouver and/or Seattle. But if you ever have time and inclination to come east, Asheville is a wonderful town/city. My husband and I considered moving there when we married 15 years ago, but then my ex and his wife retired there. Gazumped us! I do note that nobody has suggested Florida in summer….HAHAHA. You know I live in FL, so summer is unbearable. Moving right along…. I have to concur with everybody else, if i was to pick three areas in the USA to move to, it would be the Pacific Northwest (you really should consider visiting Port Townsend, WA in particular – the town slogan is “a Victorian Artists’ Community” so, hard to go wrong with that), New England (I’ve only been to southern Vermont mind you, but 4 days of it and I was mentally hunting on Zillow for houses) and the Asheville, North Carolina area. Asheville can have some hot bursts in summer, but it’s quite lovely in spring and fall, so i figured it was worth a mention. Love the bird. And oh yeah, only you could paint chairs and make them look interesting, I swear you get me every time. Here in lovely Pinetop AZ it is snowing cats and dogs. Well no, not literally, you know what I mean. Big snow storm. Snuggled in bed under big blankets. Think I’ll try painting chairs tomorrow. Oh you know I love the PNW. Seattle is a lovely small city. Many fabulous neighborhoods to explore. Capitol Hill, Queen Anne, Fremont all have great walkability, cafe’s, bookstores, grocery stores and delicious restaurants and undoubtedly have Airbnb’s or VRBO’s. Great public transit. Could walk onto a ferry to Bainbridge for a day trip. There’s great cafe’s, bookstore, and a museum that I hear is fabulous. Pike Place Market, Seattle Art Museum, Seattle Asian Art Museum, Daniel Smith Art Supply, Dakota Arts. Really, there’s just so much. You could do everything or nothing. It tends to rain often until after July 4th, though last year it got nice early and stayed that way. I hardly know why I ever leave. i am getting there by hook or by crook. if not on this visit then on one v.v. soon! Know you love the ocean, so I am suggesting the Oregon coast. Starting north and descending – Astoria (on the Columbia) Gearhart, Seaside, and Cannon Beach. Each has its unique charm and endless subjects to paint. It can be chilly in summer, as the fog may follow the shoreline, and there is the ever-present west wind that carries the constant sound of the waves. The drive from Portland over the coast range is lovely. Yes! San Juan Island is so beautiful! We went there last September and can’t wait to go back. Take the little scooters around the island with your sketchbooks – you’ll never want to leave. There are many beautiful places in and around Seattle. I am partial because I live here, but it is gorgeous. One place I visited and want to return to is Victoria Canada. It is stunning, with Butchart Gardens, English Tudor homes and hotels, The Empress Hotel (for tea!) and I loved the museums there. Admittedly it was many years ago that I went, but I LOVED it. You can fly into Seattle and take the big ferry there (The Princess Margueritte (sp). And yes, it is cool there. My FAVORITE place in the world (so far) is Cannon Beach Oregon. It is not just gloriously beautiful and majestic, but is also very artsy fartsy and quaint. The best pizza I ever had was there. I have been going there since I was a kid, and she has my heart. I will post a couple of links later. Here are some links of Cannon Beach and Ecola State Park nearby. The first video is a really good overview of the town and some things to do. Then a drone video of Haystack Rock, and the last is of the park and some shots of The Tillamook Lighthouse (Tilly). I’ve lived on Whidbey Island in Washington for 35 years. Not quite as remote and rural as it once was, but still a pretty spectacular place, as is most of Western Washington. Don’t think you’d go wrong by picking a spot up here. mmmmm i’m leaning in your direction claudia! 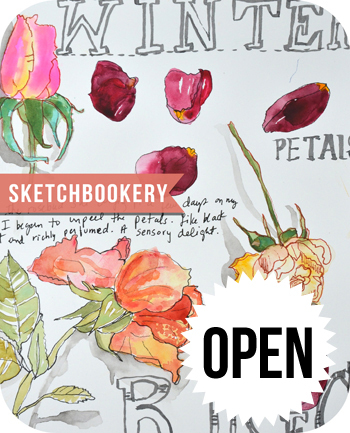 I always love seeing your sketches and luscious sketchbooks and I get envious of your art retreats! Our part of Montana, west of the Continental Divide, can be pretty rainy in June with temps 60s-70s, sunny and 70s-80 in July and August, though in recent years some days have gotten hotter later in summer. Nights are always cool. July 4 and later is busiest with tourists, but Glacier National Park is always busy anymore – still very worth it! Lots of rentals on huge Flathead Lake (towns of Bigfork, Somers, Lakeside are on the northern half) and only 45 minutes or so to Glacier. Whitefish is another lovely resort town north of the main town of Kalispell. Kalispell has an international airport – LA to Salt Lake or Seattle and then to Kalispell. 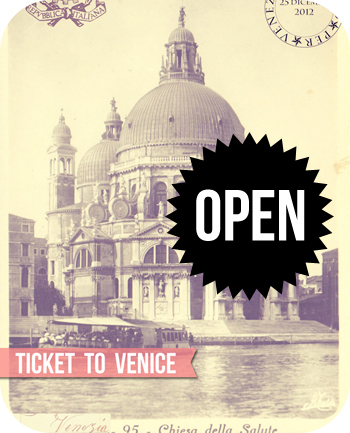 (Book early – it fills up fast coming here in summer.) The other side of the Continental Divide is hotter in summer but not by huge amounts (and it is windier). If you’re interested in anywhere in western MT, I can tell you more! We’ve also been to San Juan Island, WA in June and it was amazing. I cannot recommend this place enough – right on the water where the orcas swim by: https://www.vrbo.com/50433 (The Waterhouse San Juan Island, WA). oh that house is divine. must also get to montana sooner rather than later. I would like to learn how to make a sketchbook despite the fact i can’t draw. Does that make sense? Perhaps i should learn to draw. How would i learn to make a sketchbook? if you are interested in sketchbooking don’t worry about your drawing – just take cisors, glue and make collages style artbook ! Matisse in his older days cut off “gouaches” papers he asked his students to paint and he said that he was HAPPY ! Vermont is pretty-I live next door in NH. Can be hot and humid depending on the weather-or cool. You just don’t know. We don’t have predictable weather here-but I can say you won’t have snow-most likely. Lots of rolling hills and dairy farms and mountains. And cute little towns with white churches -fairly rural. Being a native New Englander, all I can tell you is that is has its own personality for sure. Look forward to see what you 2 decide. Washington summers are generally in the 70s with cool nights. Lately in July we’ve been seeing some heat (80s-90) but it’s rarer. And it rains but not all the time. I love it here. I’ve only been to Vermont in the fall. It was stunning, by the way. The leaves, the farms, the cheese, the covered bridges..I loved all of it. If you go there you MUST go to Woodstock, Vt. It is a quintessential New England town with classic white churches with those tall spires.p with weather vanes at the top. There is a town green where you can walk, sit and contemplate your navel or just go buzz. Great spot to sketch since there is also a covered bridge across the street. If you go to Queechee, VT you can go to the Simon Pearce studio to see glass being blown or pottery being made. The restaurant there is outstanding with some of the best cheese soup to go between your lips. Go at lunch time as their night time menu is a bit pricey. On the other hand….Vancouver, BC is a thought and you already have a passport. It is a great town for walking and there is a huge water taxi-bus thing you can ride across the harbor to see and go on an amazing suspension bridge. You can walk across it while clinging by your toes and fingers as you stagger to the other side. There are parks with totem poles, gorgeous gardens and really nice people. It is a melting pot of international visitors. We rode on a trolley that was a hop on hop off ride, so when we saw something we liked we got off and then caught the next trolley when it was time to move on. There are some things left over from the Winter Olympics held there a few years ago that are pretty cool, too. I love planning trips and could go on and on but you will get your creative juices flowing and plan an amazing trip. You always do! I love Kath’s ideas. If you move nearSeattle, you can go to all of Tom Douglas’s restaurant-get the triple coconut cream pie! Maybe you could take a look at the San Juan Islands up there-or Vashon Island, where the author Betty McDonald (The Egg & I, Onions In The Stew) lived. Lots of retreat places to look at, too. You’ll have fun, wherever you go! mmmmmm triple CCP. i can taste it. Hmmm…as I currently live in Upstate NY on the Vermont border, I can say that summers can be both hot and humid. People complain about the winters, but it is the summer that just kills me. In the Northeast Kingdom or up around Lake Champlain and Burlington, maybe not so bad, but just FYI. The Pacific Northwest…ahhhh, now there is a region for cool weather lovers, as long as you don’t mind rainy and cool. We are actually getting ready to move back, somewhere north of Seattle. Can’t wait to see what you two get up to! hot humid. thanks for the warning! and the other good suggestions!